Tracie is the Owner of Three Crafty Ladies. Her craft background stems from growing up with a creative Mother who was once deemed the "Martha Stewart" of their hometown in New Jersey. Tracie enjoys a multitude of crafts but is not very handy with a sewing machine! 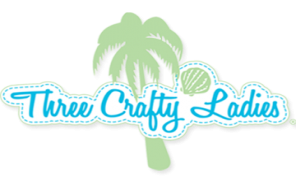 Carol is the mastermind behind all of our Three Crafty Ladies Original Designs. 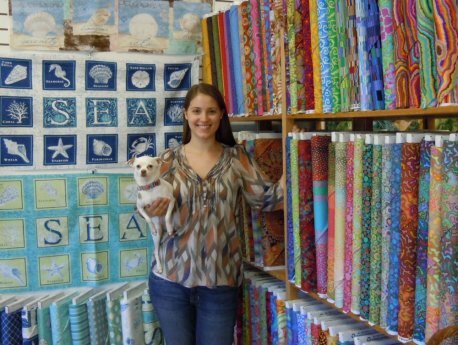 As a skilled artist and award winning quilter, she gathers inspiration from many different sources. 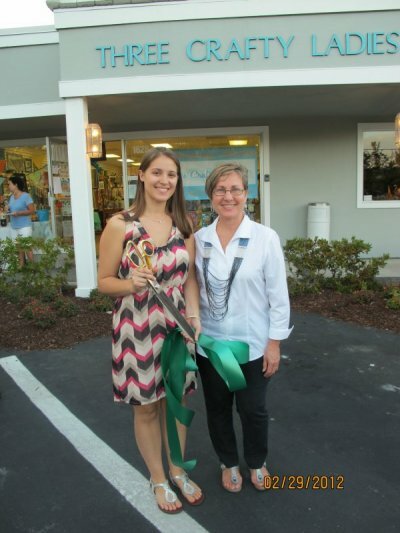 A large number of the quilts featured in the shop stem directly from the beauty of Sanibel and its native wildlife. To see all of Carols designs, visit our web store or stop by and check out our Gallery Wall which features all of her Original Designs! Luna is the official "Crafty Dog" here at Three Crafty Ladies. 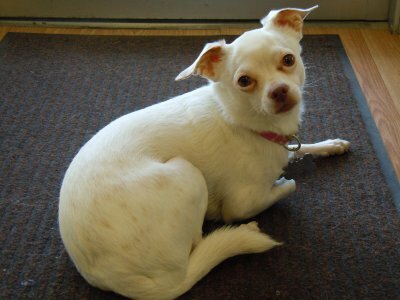 She is a 5 year old Chihuahua who loves to greet the customers and will let you pet her for hours! Don't be afraid if she barks at you, she's just showing her excitement for some fresh attention! If you have pet allergies, please let us know that you plan to stop by so that we may give Luna the day off!